The passing of Carlton Felix, a former national football captain and a stalwart for his team, Notre Dame, for me and for Dominica's football fraternity in general will remain special indeed. We received with sadness the news of his death in St. Lucia where he lived for many years. Before taking up residence in St. Lucia with his family, he was a footballer who captained Notre Dame and the national team in the Fifties and beyond. He will be remembered as a footballer of the highest attainment and a great captain. Many of us remember that formidable back liner Carlton Felix and Ivan George with Allan Guye at centre half and the custodian Sydney Dyer which could be termed as impregnable as the rock of Gibraltar. My personal remembrance of Carlton Felix goes back to 1950 when he and Allan Guye approached me while at work as a fireman and asked if I would like to play for Notre Dame, then the leading football team at the time. I was then a member of the second division, Thunderstorm. I felt so happy and had no difficulty in saying yes. Two days later I wore the Notre Dame jersey when I turned out in a match against Dodgers, captained by the late D.C. Joseph. Both Felix and Guye were pleased with their effort, as Megs Frampton in her report on the match stated: that young Phillip Alleyne, making his debut in first division football, scored the winning goal. Off the field, Carlton Felix was better known as "Teacher Carlton". 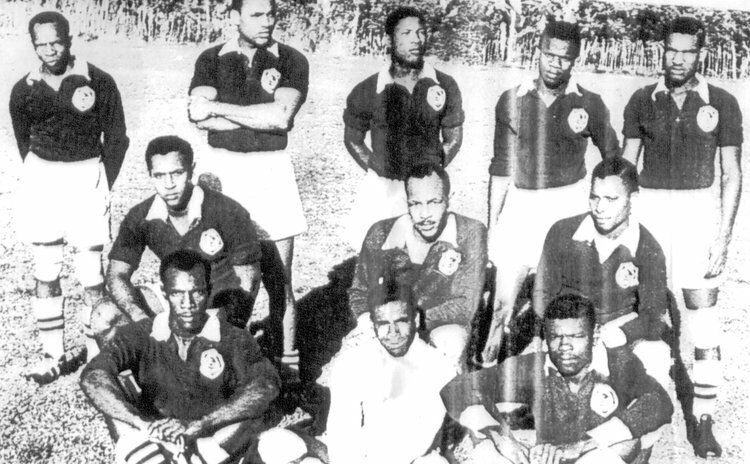 Using his football skills , Carlton became a football coach for the boys at the Roseau Boys School (RBS) who were interested in football; this resulted in boys like Carlton Buntiff, Vaughan Fountain, Renald Welsh, Fitzroy Webb, Ferdinan Frank, Harold Gage, Vantil Fagan and Cecil Peter all becoming top class footballers. Carlton had the distinction of representing St. Lucia in football. He was inducted into Dominica's Sports Hall of Fame in 1988. His death came at a time when his younger brother Archbishop Emeritus Kelvin Felix is celebrating his elevation to the high office of Cardinal in the Catholic Church, appointed to that position by Pope Francis at the Vatican in Rome. But the saying "in joy there can be sorrow" is applicable to the Felix family. On behalf of all past members of Notre Dame football team, I extend heartfelt sympathy to the Felix family. Precious are the memories forever in our hearts.